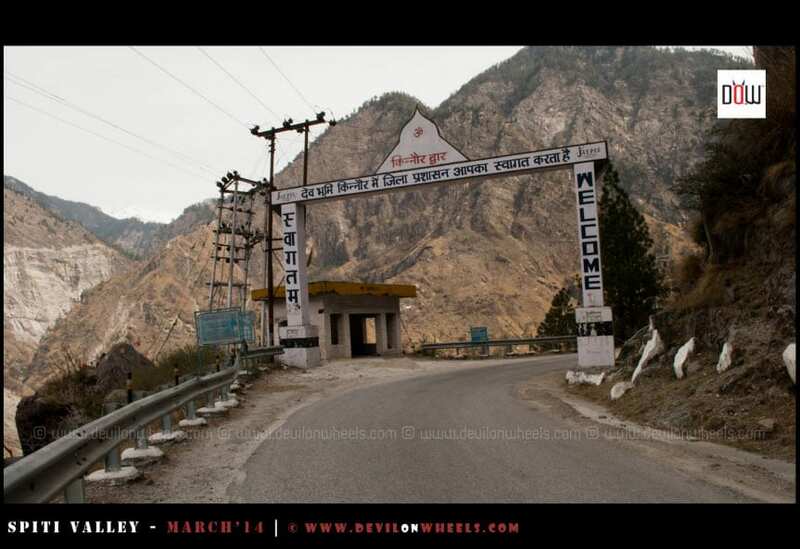 Inner line permit for Kinnaur – Spiti Valley route has been recently getting a lot of attention. And why not? The reason is pretty simple with the boom in tourism in Kinnaur and Spiti Valley, a lot of people have started visiting these beautiful and tribal places of Himachal Pradesh. Hence, the questions like “Do I need a permit to travel to Spiti Valley by car or where can I get a permit for Kinnaur – Spiti?” are pretty much expected on my blog. Hence, in this article let us get familiar with the concept of an inner line permit to visit Kinnaur – Spiti Valley and how to apply for such permits. This article acts as a step towards building a comprehensive travel guide to Spiti valley. Do I need any permit to visit Spiti Valley or Kinnaur? Where to get Kinnaur – Spiti Permits? What Places come under Inner Line for Kinnaur – Spiti region? What documents are required for permit? How to apply or get an inner line permit for Spiti and Kinnaur? Which is the best place to get inner line permit for Spiti – Kinnaur? Can I get an online permit for Spiti Valley? Generally, if you are an Indian citizen then you do not need any permits to visit Spiti Valley or Kinnaur Valley when traveling from Shimla – Kinnaur side. In fact, Indians do not need any permit to travel anywhere in the Himachal Pradesh except a vehicle permit for Rohtang Pass or visit the Indo – Tibet border at Shipki La or Kaurik. However, if you are a foreign national visiting the regions of upper Lahaul – Spiti Valley and Kinnaur Valley, then you are required to get the inner line permits for these protected areas nearby international borders. Even though Indian citizens are not required to get any permits to visit upper Kinnaur or Spiti, it is highly recommended that you carry a valid photo ID proof of your nationality on your road trip to Kinnaur – Spiti. This is unlike Ladakh, where Indians also need to apply for inner line permit for Leh Ladakh in order to visit areas near the International border with India – China. Planning to apply for Inner Line Permits for Kinnaur – Spiti Valley? Please note that if you travel to Spiti Valley via Manali side, you need to apply for Rohtang Pass permit for your vehicle. In case, you are hiring a taxi to visit Kaza or Spiti from Manali side, then taxi driver will arrange Rohtang Pass permit for his vehicle and you do not need to arrange a permit for yourself to visit Spiti Valley or Kinnaur. Rohtang Pass permit is available online as well as using the mobile app recently introduced in the year 2018. 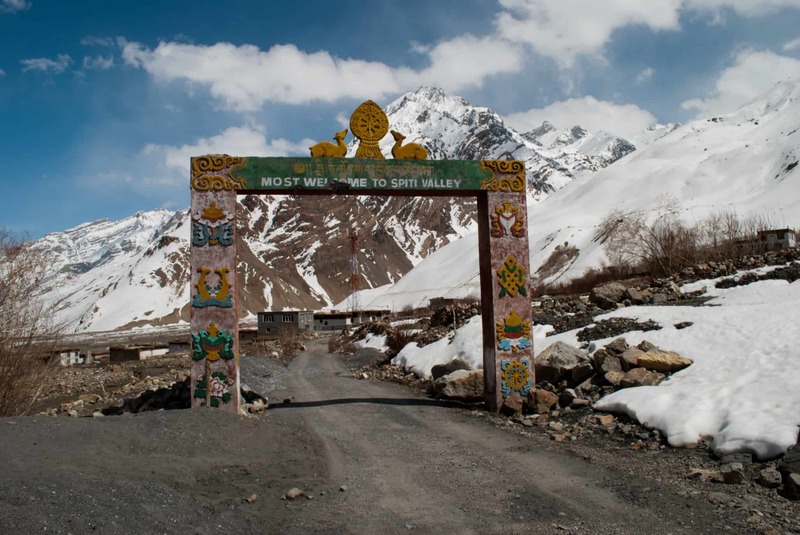 In Himachal Pradesh, foreign nationals visiting the protected areas of Lahaul – Spiti Valley and Kinnaur Valley are required to get the inner line permits or ILP. Domestic (Indian) tourist do not require any permits to visit Kinnaur – Spiti. If you are Indian, then just carry a valid photo ID proof of your nationality to be on safe side. Given below are some facts or information you may like to know about inner line permits (ILP) for Spiti Valley or Kinnaur where these permits are necessary. 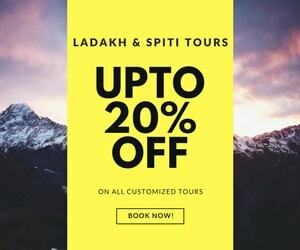 In Himachal Pradesh, foreign nationals are required to get Inner Line Permits for visiting these places Khab, Samdo, Dhankar, Tabo, Gompa, Kaza, Morang, and Dubling as per official website of Lahaul – Spiti region. You can travel to tourist places of Kinnaur Valley without any permit which are Kalpa, Sangla Valley, Chitkul and Sarahan. These places lie below the Inner Line region in Himachal and hence, no permits are required. When you travel from Reckong Peo further to the upper region of Kinnaur and Spiti, there is a place called Jangi in Kinnaur Valley (after Kalpa / Reckong Peo) beyond which up to Kaza in Spiti Valley, a foreign national is required to get the inner line permits. Reckong Peo to Jangi Police Checkpost is about 35 km. Please keep in mind that Jangi Village itself is off the road, but when you travel on Hindustan- Tibet road and crosses the Akpa bridge, after a few km Jangi police checkpost is setup. It is at this place Jangi where even Indians need to register first at police check post with number of person traveling and vehicle number. You will need your car/bike registration certificate and a valid driving license or national id proof to submit at this checkpost. After Jangi, similar police check post comes at Sumdo which is entrance to Spiti Valley from Kinnaur side. Jangi to Sumdo is about 90 km. These inner line permits for Spiti – Kinnaur Valley are issued from DM (District Magistrate) offices located in Shimla, Reckong Peo, Kullu, and Keylong. Or, you can get these permits from SDM (Sub District Magistrate) offices located in Shimla, Rampur, Kalpa, Nichar, Keylong, Udaipur. Or, you can also get these permits from ADC (Additional Deputy Commissioner) offices located in Pooh and Kaza. Of course, if you are traveling to Spiti Valley by car from Shimla – Kinnaur side you need to get the permits from Shimla or Reckong Peo. And, if you are visiting Spiti from Manali – Keylong side then you will need to get these inner line permits from Kullu / Keylong / Kaza villages. These SDM offices open up by 10 AM in the morning (so be sure to be present there on time) and are closed on Sunday, Second Saturday of the month and national holidays. These permits are issued to foreigners in a group of two or more people coming through a reputed/registered travel agency in India. You can also try your luck going without any travel agent (especially at Reckong Peo) as well. However, it may or may not work depending upon the strictness at that point in time. According to the official document of Ministry of Home Affairs, following areas fall under the Inner Line region of Kinnaur and Spiti Valley. Distt Kinnaur:- Pooh Block:- (1) Sumra (2) Shalkhar (3) Chango (4) Nako (5) Maling (6) Maling Dogri (7) Yang Thang (8) Kaa (9) Leo (10) Hango (11) Chuling (12) Hangmat (13) Namgia (14) Khab (15) Tashigang (16) Dubling (17) Dabling (18) Pooh (19) Labrang (Pooh) (20) Shayaso (21) Shunnam (22) Giabung (23) Taling (24) Ropa (25) Rushkulang (26) Nasang (27) Kanam (28) Labrang (29) Spillow (30) Moorang (31) Gramang (32) Thobaring (33) Khopka (34) Shilling (35) Ruwang (36) Thangi (37) Lamber (38) Charang (39) Kunu (40) Lippa (41) Asarang. Distt Lahul & Spiti:- Spiti Sub Division:- (1) Dhankar (2) Shichling (3) Poh (4) Tabo (5) Hurling (6) Lari (7) Gue (8) C.P. Samdo (9) Korik. The documents required to get these permits are completely filled Inner Line Permit application form, a letter of sponsorship by a recognized travel agency, a defined itinerary of your travel, a copy of your valid passport & visa and three passports sized photographs. The whole process of getting these inner line permits for Kinnaur – Spiti will take anywhere about 2-4 Hrs or maybe more at times. So, it is best to plan the itinerary of your road trip to Spiti – Kinnaur in such a way that you get at least a day’s stay at the place from where you wish to get these permits. Once the permit is processed it is signed by the ADM/ADC and you have to be present in front of him in person at the time he is supposed to sign the permits. Validity of Permit: The permit is valid for a period of 2 weeks. After you get the permits, make 5-6 copies of it as you will be required to submit them at police checkpoints mainly at Jangi and Sumdo. Nowadays I guess the guys at police check-posts just note down the details from the issued permit or ILP. Although as per the GOVT. rule, there are no fees charged for the permits but you should have all the documents prepared in advance. In Shimla, there is a Sugam center now which was setup to make the process faster and efficient. They charge a fee of Rs 150-200 for the permits but to the sorry state the time of processing and efficiency is almost identical with or without that center. Of course, now you are required to pay Rs 150 – 200 for the permit which was free of cost. Out of all, Reckong Peo is the best place to get the inner line permits because first there is less tourist rush and it is hustle free. Secondly, people at Reckong Peo are really helpful, thirdly, there is a computer with Webcam which takes the photos to paste them on the permits, so you won’t need separate photos and lastly, you can always utilize the permit processing time (good 2-4 Hrs) to explore a beautiful Kalpa town about 12-13 odd KMs from Reckong Peo. Additionally, you will be spared from all the nuisances which Shimla office might have. So, you shall generally avoid getting the inner line permit through Shimla based on reading the not-so-good experiences of many travelers in the past. Well, the protected area permit for Spiti Valley and Kinnaur will only be available at the govt. authorised centers. You will not get these protected area permit online. Only Rohtang Pass Permit is available online or mobile app but that is a separate permit to cross Rohtang Pass when traveling to Kaza from Manali. Hence, you need to be present in person at these govt. centers to get the protected area permit for Spiti – Kinnaur. 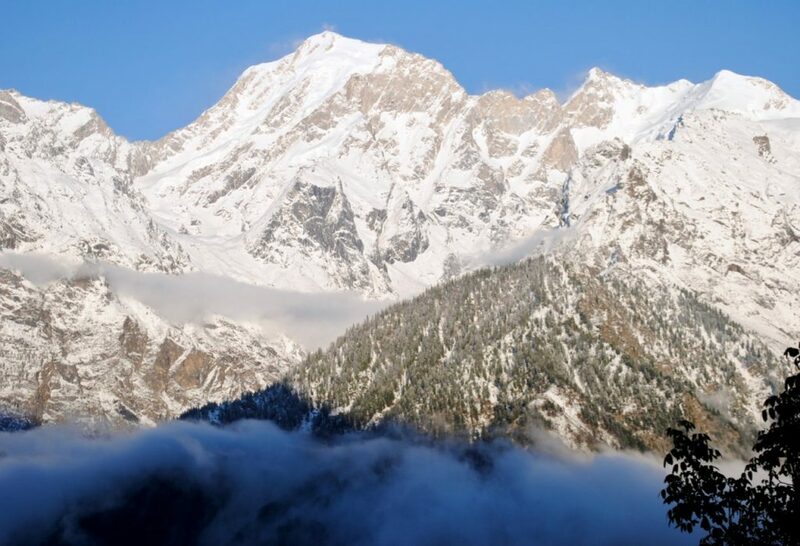 Planning a Kinnaur Valley Trip? In the end, I hope the above article provides you with some helpful information about inner line permit for Spiti and Kinnaur Valley. I look forward to your thoughts or inputs or suggestions or experiences about applying the inner line permits of Kinnaur – Spiti Valley. Please leave your comments below if you have further questions, I will try to be back with an answer as soon as possible. If you know your friends or family are planning a trip to Spiti – Kinnaur, do share this article with them to help them make a memorable trip. I am planning to go from Manali-Kaza by bus. I am a solo traveler and do not plan to use a tour agency. From Kaza I want to do the five day home stay trek to Dankhar. I assume that I will therefore need the inner line permit? Considering this, do you know if it would be possible for me to get the inner line permit in Kaza at the ADC without a tour agency and being a solo traveler? Hi Micaela, as per the rules being a foreigner, you have to come through a tour agency to apply for permit. You can get the permit and do not need to travel with the group and travel on your own. However, to get the permit, you have to go through an agent. You can get them in advance through an agent as well. I’m about to travel to Spiti Valley next April, plan to start and end at Shimla. 1. I’m solo traveler. Is it possible to apply ILP at Shimla without group of 4 tourists ? If not, can tour agent organize that for me (such as combine with other group of tourist) ? 2. Does the DM at Shimla or Reckong Peo operate during weekend (Sat-Sun) ? Honey, the tour agent will be able to help you with it. Sunday for sure office is closed, second Saturday too office is closed. It is better to get it in advance through an agent if you planning over weekend. Thanks for reply. That’s sound good to me. I expected to reach Shimla on Friday 5th April 2019 in the early morning (by flight from Delhi). I will try to apply for ILP on that day. If it isn’t success, I will have one more chance on the next day (6th April) which is first Saturday of April 2019. One more question, can I expected crystal clear blue water in Spiti river and nearby river in the region during my visit in early April. Hello! Do you know if it is possible to get inner line pemit to Spiti with e-visa? Or you need one received in the embassy? I have my own motorcycle that I purchased from an Indian, the motorcycle is in his name. I have 3 weeks to do this. But I wondered if I can do this on my own? As it says a group of 4 or more? Usually, you get people to form a group and get the permit or you can get in touch with some hotel in Reckong Peo or Kalpa who can arrange the permit for you. I hope this is not your day wise plan and you are trying to tell the route only because day wise it is too much and hectic. Do you need help in planning the day wise itinerary for 3 week? Yeah it seems it’s ok to go solo if you get the permit in Reckong Peo and not in Shimla which is a bit weird! Haha no it’s not my day plan. Wow thank you, that would be amazing if you could do that for me, as I am unsure how long it takes to get to places. Google maps isn’t accurate for that region apparently :/. And also, do you know if Manali is a good spot to sell my bike? Or if you could suggest a place for me? It’s a 2015 RE Classic 350. Selling the bike, I will try it in Manali or Leh and then New Delhi Karol Bagh area. Now regarding your three-week plan for Spiti and Sach Pass trip, I will give you more detailed sketch and you can extend it further or add days/remove days in between for rest. I am from the UK but am currently living in India. I will be traveling to Spiti Vally from the 12th to the 19th of May. I will be getting my permit in Shimla on the 10th, and leaving back to Delhi on the 20th. However, my visa expires on the 24th of May. As the permit is a two-week permit, am I still eligible to get one? I believe you should be fine George with it as you can get the permit for fewer days too and up to 20th. Even if that option is not there, you should still be fine. Best wishes for your trip George..
Hi again, I tried to get the permit in Shimla but they said no as I had a dependent visa. However, I have an adhaar card, and they said it’s good enough. Do you have input regarding this? Do you think it’s good enough? Well, that is something strange and I have not heard of it. If they are saying they will give the permit on Aadhar card, then you should get it using Adhar card. Sorry not much detail into it that I have on dependent visas. Can you/anyone hlp me exactly at which point I need to take the foreigners permit? Is the first point chamba/killar/Keylong/kaza? pls suggest if any travel agent who can arrange permit. I am not aware of any permit requirement for Chamba or Killar, never heard of it. AFAIK, you need to permit at Kaza to go further beyond Kaza. As said on the Facebook as well, please connect with Tsering Bodh at Sakya Abode to get the permit done. Dheeraj, I have nothing but about gratitude on your insight of these travels. I am planning for a month in spiti in September/october. I am currently an OCI holder and do have PAN card. Do I still need inner line permit. It’s sad that even being an Indian, I am treated as non Indian in lot of places (sikkim). Your advice will be very helpful. Well, Raj, I will recommend that you apply for permits and then only travel to these places being an OCI holder. I am planning to go on a road trip to Spiti valley along with my 3 friends in September 2017. we are from Bangladesh, Where we have to take the inner line permits or other permits? You can apply the inner line permit as per the details mentioned in the article above. As you suggested we are going to visit Chandratal lake in middle september in our quick visit to Spiti Valley before going to Ladakh region. I think we will stay around Chandratal 1-2 days and probably don’t go to Kaza. So, do you think we will need any permit going from Manali to Chandratal lake (appart from Rothang pass permit)? Good to see you back, Sorry for delayed reply, been busy with some stuff at the office in last few days. No, you do not need a permit for Chandratal lake. You will just need Beyond Rohtang Pass permit of Rs 50. So, in case we change our mind and plan to visit Kaza I assume that we could get there the permit. Or do we need to get it before arriving there? No you can get the permits in Kaza itself but don’t travel beyond Kaza towards Tabo without permits. The initial plan was to get Chandratal from Manali and stay there one-two nights. But I didn’t realize that Chandratal was so high in altitude. 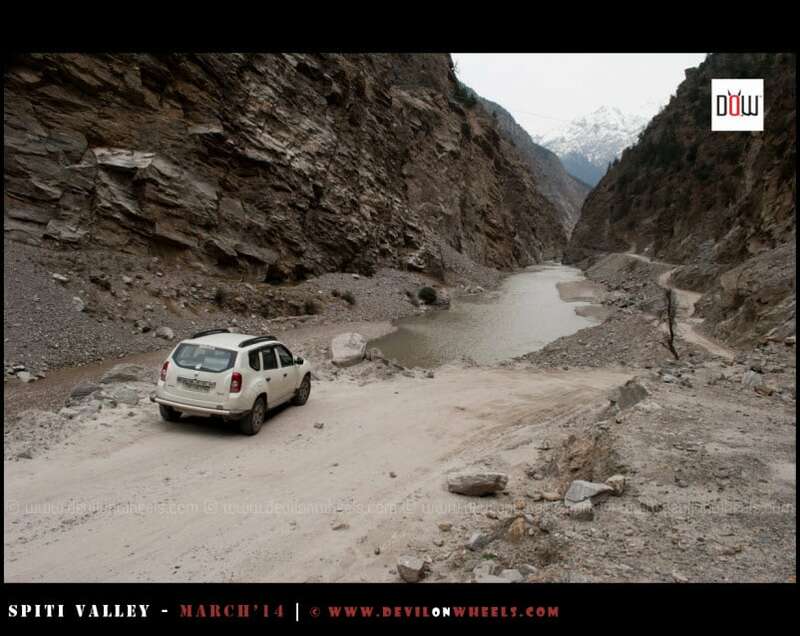 I was reading your advices in the “14 Mistakes People Commit on a Spiti Valley Trip” and thought … ooops! Where do you think would be a better place to spend the night? Maybe in Batal? I mean, we can spend one day in Chandratal but not staying there jut to avoid AMS. Yes, Batal will be much better than spending the night at 14000 feet else it is more like taking a chance with AMS only. I had a quick question regarding inner line permit for Spiti. My friend is a Bangladeshi traveling with us in a group of 5. She has her visa and tickets in place. However, there is not much information online about how to apply for ILP for Bangladeshi nationals. Our trip starts on 28th June. Could you please help us out here? AFAIK, the permit for Bangladeshi for an inner line of Kinnaur – Spiti Valley should be available from MEA if it is not provided as per process of above article. Lately Bangladeshi citizens have been allowed to take Inner Line Permit for Ladakh as per the process of other foreginers but I am not sure if they have been allowed the same for Spiti Valley and Kinnaur Valley or not. 1) What all permits are required for this trip (I mean from where to where) and the list of documents needed from my end? 2) where from should I get this permit without any hassle as I cannot trust these Tempo travellers? 3) What all costs are included to get this permit? 4) How about the road conditions on the route I am taking? 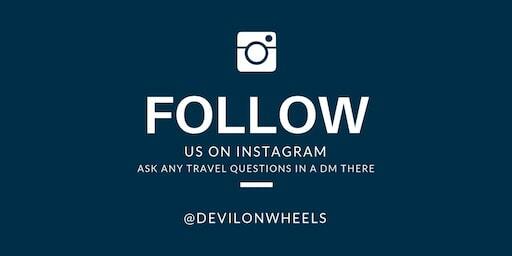 5) Do you have contact number of any hotel or homestay lodge where we can stay? 6) We are planning to stay in Jamaica Campsite in Chandratal Lake on 20th June. Any idea or any other good campsite you are aware of? I know I am asking too many information. Would appreciate if you can respond to my queries asap. 4. Road conditions beyond Kaza to Chandratal to Manali are in bad shape as usual rest is manageable. 5. For stay options in Kinnaur and Spiti, check the link: Some Good Options of Stays in Spiti Valley / Kinnaur Valley. 7. Parasol is the best but costly, Jamaica is good too but there is one more economic option of Tenzin too. PS: The plan is very very hectic considering you are going with family, not sure how it will turn out for you folks. I planning a trip to spiti valley from Kinnaur shimla.on 5th June. Then head towards leh. Do I need permits? We are going my car. Can u please help me? No Rajveer, you do not need any permits to travel to Leh from Spiti – Keylong route. However, in Leh The environment fees of Rs 400 & Inner Line Permits (most likely as well) will again be required in Ladakh for Indian Tourists / Nationals with effect from April 1st, 2017. This has been recently announced and is available on official website of Leh administration. It is expected that a public circular should follow soon as well. Hence, like it used to happen before 2014, all Indian Nationals or Indian Tourists WILL need to pay environment fees and may need to also get the inner line permits in Leh – Ladakh region in order to visit the restricted places like Dah, Hanu Villages, Pangong Tso, Man, Merak, Tso Moriri, Nyoma, Loma Bend, Khardung La, Nubra Valley, Turtuk, Tyakshi, Digger La, Tangyar (for trekking only). You mentioned domestic residents need to carry Valid ID proof. So is driving license counted as a valid id proof in those areas? Yes Aditya, a valid DL is always an ID proof. Could you please let me know if the information regarding the opening hours and days of the offices is up to date? I got little confused with the following “These offices open up By 10 AM in the morning” you mean they work “From” 10:00AM? What time do they close? I am mostly interested in the Recong Peo office. Boii, yes, the offices open at 10:00 and they close mostly at around 4:00 PM. Saturdays may have different timing. Hi Dheeraj, If the travel company running trip to Spiti is based in Delhi, are their sponsorship letters still valid at DC Office in Shimla? I do not think so Gaurav. They will allow permits from local travel agent only. Thanks Deepak, do you have a contact number of any local agent in Shimla who can help them with the permits at DC office? No Gaurav, sorry on that front. Umar, above plan is too too ambitious and is not recommended at all. You should either do Spiti Valley or do Ladakh only in given days. Thank you for sharing that my initial plan was too ambitious. I have since tweaked as i hope to see both Leh and Spiti valley in one trip. Do let me know what you think about it please. 2 – From Leh to Tso Moriri, i could only have time for 1 of these route (Upshi – Chumatang) OR (Upshi – Debring) which route would you recommend. Hopefully this would be a better itinerary but i am all ears for your valued advice. Hi Umar, if you have total of 18 days, I will strongly suggest that you refer: Spiti Valley to Ladakh from Manali – Most Common Itinerary. This way you will be able to cover both Spiti and Ladakh and justify your visit as well. Im traveling solo, on a bike from leh to spiti valley. 2 – i plan to spend a day at placed where i have to do my permits and plan to get out at first light the next morning. is 1 day enough for me to accomplish the necessary permits. 3 – You mentioned that i’ll need an authorisation letter from tour agent as part of the documentations necessary for the permit. i’ll assume that i have to walk into any tour agents in leh and keylong and ask them for this (small fee included) ? is there a better way to do this please? 1. No, you have to apply permits for Spiti – Kinnaur in Himachal and once you reach Leh, you will have to apply permit for Ladakh. 2. Yes, very much. Reckong Peo is the place for you. 3. Yes, that is exactly you will need to do. Many hotels does run tour agencies as well, so they should be able to help you as well. 1- I have a total of 13 days of travel. Was thinking if i could break up Day 6 into Tso Maori – Pang (overnight) before proceeding to keylong. Would this be worth it? i begin my ride early Oct and would share my trip here for the benefit of the community. I got to know about DOW from one of my friend. I have some queries and i think you are able to resolve this. I am planning to go on a road trip to Spiti valley along with my friends in 1st week of July. We are planning to take hired cab and to go via manali – rohtang pass. Is “Innova” is a good option or better to take Scorpio? Where we have to take the inner line permits or other permits? Yes Saurabh, you can take taxi from Manali and go over to Spiti Valley. If you get Scorpio, it will be better option. You do not need any inner line permit to visit Spiti Valley unless there are foreigners in the group. Secondly, you will need Rohtang Pass permit bto cross it and go to Spiti Valley but since you are arranging a taxi, the taxi guy will get the permit as it is given for a vehicle not for a person. Do ask the taxi guy to ensure permit he has got. But we are taking a self driven car(MYLES) from Delhi, so is there any problem in taking any permits. No, there wont be any problems. There is no hurdle at all, it is just going into SDM office in Manali and applying for permits. In couple of hrs you will get the permit. For the convenience of tourists, they issue permits on sunday as well now. We are planning to go from Shimla – Kalpa – Kaza to Manali, in this manner. The vehicle is self driven rental with the Delhi number plate. Do we need permit for Rohtang Pass? Hi there, thx a lot for all the information on your webpage. I really appreciate that. Am I right, that I do not need any permit more if I continue to Leh? And is it safe now to go the main road kaza -Leh -Srinagar without any trouble with the taxi association? am I right that I have to skip zanskar with my rented bike? 1. You may need to wait for others and join their group for applying the permits. 3. Yes, there will not be any issue at all on the route. It is just that once you reach Leh and you need to go to Nubra Valley, Pangong Tso and Tso Moriri, you will have to park this bike in hotel and get a rented bike in Leh to cover these places. 4. IF you have time on hand, about 4-5 days ex. Kargil, you can do Zanskar Valley too and there is no restrictions of rented bikes and can be done on your Delhi bike. Thx alot for you fast answer. Helps a Lot! So is it wise just to try my luck at the office first, and and if they don’t give me the permit to try to find a group? Or shall I look for a group at a first place? Cool, so you already in Kalpa. Well, in that case go over to Reckong Peo and try your luck. You can hang around in the market and wait for couple of more people to come and then you can join their group. It is not mandatory to travel with the group, it is just the permit that needs to be applied in the group. Once you guys have the permit, every individual can travel on his own. Just that you need to make the copies of that permit for each one of you. Did you manage to have permit with joining other group? Did you travel the whole (Shimla – Kaza – Manali) by bus? I’m from Bangladesh and planning to travel solo this Sept, 2017. It would be great if you share your experiences. and if yes please tell some details about it as we are group of 8 people. Mukul, I have never heard that any permit is required to visit Chitkul. So, I think it should be good. Hello everyone! I am a foreign traveler, and given the new rules of taxi union leh and manali rent bikes not allowed, since I will travel with bikes rented at delhi wonder if during the return from leh to manali, at Rothang wanted to go to tabo need i ILP? if yes, where I can apply for? what do I need? I would use a trip planned for months but I had to reschedule during construction. First of all I want to thanks for the wonderful site. GREAT JOB! I’m planning for Lahul & Spiti valley in end of June, starting from shimla and completing at Manali via Kunzum pass by personal two wheeler with West Bengal number. So, as an Indian do I or my pillion need to get any ILP? Specially for Kunzum pass and Rotang? Thanks Dheeraj, for such quick reply. If all goes well by god’s grace & I’ll be able to reach Kaza, surely I’ll go to the Library. Is it possible to get a permit for Dhankar and Kaza while at Shimla (or is it better to add a day in Reckong Peo to do this?) if we are only two people? And how do we get a letter of sponsorship from a travel agency? We are not using any travel agency services in our trip. Does it matter where the agency is based – I have a friend who owns a travel agency in Macleodganj. Would that work? If so, what does the letter have to say?? Thank you!!! Kyla, you can definitely try for it while in Shimla if you have time there. If you get them at Shimla, you save a day for yourself. No, it does not matter where the travel agency is based in Himachal. So, your friend should be able to help out. Okay will it be a problem that we are just two people? and if we arrive in the morning in Shimla from Macleod and then want to leave for Reckong that same night is that time to get our permit? Kyla, there shouldnt be any problem with two people. There are 100s of people who travel Spiti as solo travellers too every year. Hmm, it will be difficult because permit processing will take some time in Shimla. Okay so perhaps it will be better to do it in Reckong Peo? Is it necessary for the trekkers to be present at reckong peo to get the inner line permits? Is it possible to get the permits through some travel agency based in peo or areas surrouding peo? Like sending the scanned copies of passport and photographs. We are planning to start the trek from sankri and reach chitkul(via lamkhaga or borasu) ,so we need to get ilp from reckong peo. I got the ILP through one friend . sent him the scanned passport and photo. First he sent me a photo of ILP . Now in that photo ILP looks odd , instead of my name only surname typed, another person fathers name was typed instead of his name. And only the first trekkers address was types and for rest its -do-. Such silly errors were made. Of course starting point and end point, duration of trek ,dates were typed correctly. Even the pass we not mentioned ,its like trekking from sankri to chitkul village from this date to that date,no mention of borasu pass . Will we face any problem? Well, if anyone in the army sees it he can surely object but in general along with rules and regulations such documents acts as a measure to rescue or get news about people passing by in the event of casualty. So, I in general feel that all documents are always in place and correctly. Just read on Times of India that there is NGT order which restrits the number of vehicles going to Rohtang. Do you have idea if this is also applicable for people going to Spiti via Rohtang ???? The matter will be next heard on April 25. Please inform in case the permit for beyond rohtang pass can be arranged by hotel also ?? in advance also??. In case i personally go to SDM office then can i get it same day, let suppose i go in morning can permit be issued by evening. Dheeraj…this means that there will be no manual process this year but online…so i should wait for link to get enabled. guess i understood correctly. We are planning to go to Chandratal while returning from Leh. Will we need any permits to visit chandratal while coming from Leh side. No you do not need any permit to travel to Chandratal. Route is that only. Kindly guide me about the undertaking issue. How many days ( Woking or non working) required at manali to take permit for personal vehicle to lahaul and spiti and chandertaal? Does the SDM office open on Sunday as the tourism center? If we want to camp in lahaul and spiti then how can we show advance bookings and vouchers? Even if we do not camp and take the homestay option then there is nothing to show for the permit. Person mentioned in your blogs for chandertaal, Mr. BISAN can help in this matter? May be have a word with Bishan, he might send you the receipts. Is the trail opened for Bangladeshi people? I am planning to go there by May last week. You need to get Inner Line Permits from MEA, AFAIK. As there are some ares where Bangladeshis are restricted, such as Sikkim, near Pangong Tso lake in leh, the permit can be obtained only from Minstry of Home affairs of India. I just want to know that is there any specific restriction for Bangladeshis? Yes, this restrictions is for the citizens of Pakistan, China, Afghanistan, Bangladesh and Burma whose permits are issued by the Ministry of Home Affairs (MHA) and permits for those people who are on diplomatic or official VISA are issued by the Ministry of External Affairs (MEA) in Delhi. I was visiting Spiti valley 21/09-05/10/2014. As a foreigner, I got ILP in Reckong Peo, through a local travel agency. For ILP you have to be in a group, which consists of two foreign travelers minimum. It takes about an hour to get ILP and process is without problems. Thanks for posting such a valuable article regarding ILP for Spiti. Can you suggest a name and contact number of an agent who can help us obtain ILP in Reclong Peo. Arvind, are you a foreigner? If yes, then only permit is required for you. Agent can be any registered one in Reckong Peo and the DC office there should be able to guide you on it. yes..i m travelling wd 3 other foreigners… was thinking of staying the night in Rampur and drive to Rekong next day.. maybe if not that difficult cd try to get in Rampur..what do u suggest?? Arvind, as per most of the reports, Reckong Peo is the best best place to get them but you can try at Rampur too and that should be less crowded as well as not many people stop over there. Best Regards from Baltics (Europe)! Thanks a lot for this site and information about Spiti. I’m planning to visit this valley alone in the end of September. It seems it is faster to go there via Manali and Losar. But I can’t find no proper information about inner line permits. Can I reach Kaza from Manali without the permit and get it in Kaza? Or should I apply for it in Manali? Or is it better for me to travel via Reckong Peo at all? Thank You for help in advance! You can get the permits in Kaza if you are going from Manali. You can get in touch with Tsering at 09418208987 to help you out with permit once you reach Kaza as you may need to apply in group and through some registered travel agent in Kaza. Thanks a lot for useful information and contact. Thank you first for this great website. It was already really helpful for my trip to Leh. Now I plan a trip to Spiti Valley by motorcycle for next week. Can this contact speak English? 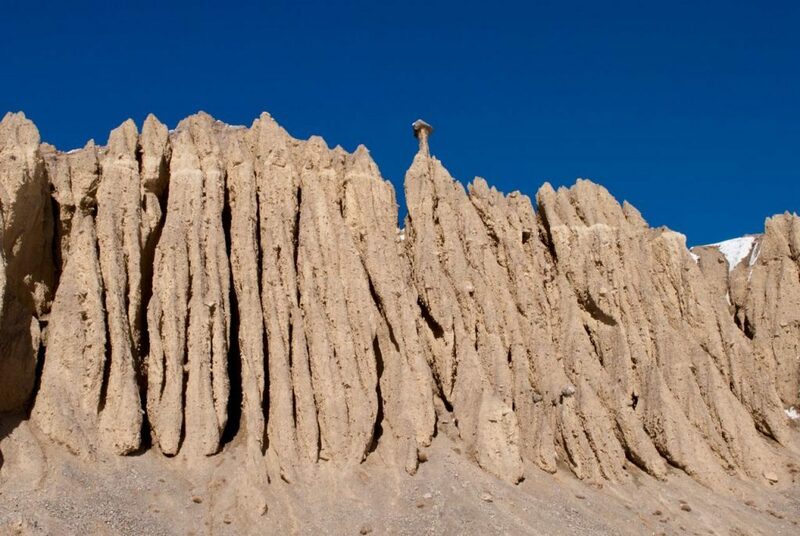 Or are there any travel agencies in Kaza who can handle everything for a single person? Thanks- this was really useful info. We are 3 foreigners planning to travel to Spiti via Shimla Manali route. We want to do Chandratal lake trek and then visit an Indian friend teaching in Rangrik, and do some treks around villages in the Spiti valley. Monks there told us we do not need Permit if travelling through Manali, but information online seems to contradict this. Do you know if monks are right about this? Also, if we go ahead and try to get the Permit at Shimla, do you know if travel agents could could help us take care of it? I’m worried because we are 3 people and we are not travelling in an organised trip. Any help would be grately appreciated. Bill as per the official website, yes, you do need permits for visiting Spiti Valley after Kaza from Manali side and beyond Jamgi from Kinnaur side. For Chandratal you do not need any permits and even for Rangrik. It is Kaza that is mentioned and beyond that towards Kinnaur. If your treks in Spiti are towards Kaza and beyond region, you should get the permits. Else if it towards Ki – Kibber region from Rangrik or to Komik Langaz, hikki, which are before Kaza, it should be OK. But, apart from that towards Kaza and beyond you will need permits which can be easily obtained from Kaza Office. If required let me know, I will pass on my friend’s contact info in Kaza and he will be able to help you out. Is getting inner line permits for Spiti easily done at Keylong? Well, never heard anything regarding Keylong but assuming it should not be as bad as Shimla and I do not have confirmation on any computer facility with web cam over there. Hence, you might need to carry or search for some photo studio in there if it is not present at their office. We are only travelling with two (foriegn nationals), do you think we will get permits at Reckong Peo or Shimla? Matt, yes the permits are issued in the group of 4 only. You might be able to get other people to club then n there or better contact some agent (anyhow you will need one for authorization letter) who will help you out if nothing works or in worst case. As said, better option is to get the permits at Reckong Peo which is less fussy than Shimla. thanks for providing with such valuable information as it will help many tourists who are planning to visit this gorgeous valley. I have been going through several posts on Indiamike but my issue wasn’t resolved. Thanks again. Hey Sandee, hope this answers all your queries. Let me know in case you have any further query.